Hope for Firefighters: a different kind of food truck. They protect, they save, and on June 3rd, they serve lunch. Sure, you’ve HEARD of Firehouse Chili but have you ever tasted the real thing? By which Ms. Go Go means cooked by a bona fide firefighter? Didn’t think so. 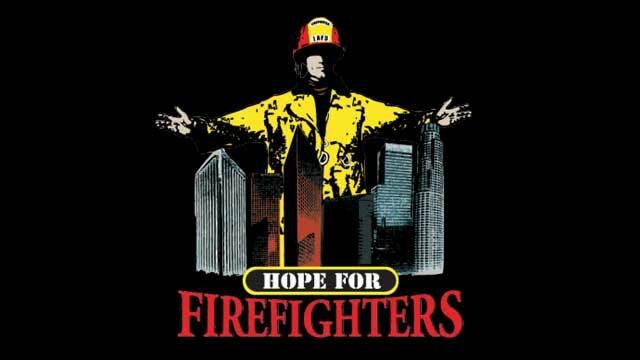 The event not only honors firefighters but raises money for the Los Angeles Firemen’s Relief Association’s Widows, Orphans and Disabled Firemen’s Fund through the sale of lunch tickets, raffle items, and the sale of LAFD merchandise. They cook, you eat, everybody wins. Previous Post Happy 3 month anniversary/Secret Stairs/ June contest! Next Post CAIRO CARAVAN: lots of Little Egypts in Long Beach. Sound like a hot time in the old town. Ha ha! I refrained from mentioning that they were “firing up” the grill.